Liberal Hypocrisy! Roseanne Just Got Devastating News From Her Agent After Her Show’s Cancellation! American actress, comedian, writer, and television producer Roseanne Barr went off on the liberal elites yesterday and showed how much she is frustrated with the mainstream media and the liberal propaganda machine who are constantly attacking President Trump! She gained huge success and the ‘Roseanne’ revival premiere was a huge success given the fact that over 18 million people tuned in for the premiere episode. Well, one tweet was more than enough for ABC to cancel her show! Earlier on Tuesday, Barr accused activist billionaire George Soros of being a Nazi, and accused Chelsea Clinton of being in cahoots with him. Also after her show got canceled Roseanne got another devastating news, Roseanne Barr on Tuesday was dropped by her talent agency following her racially charged tweet about former Obama adviser Valerie Jarret. “We are all greatly distressed by the disgraceful and unacceptable tweet from Roseanne Barr this morning,” ICM said in a statement Tuesday, according to Variety. 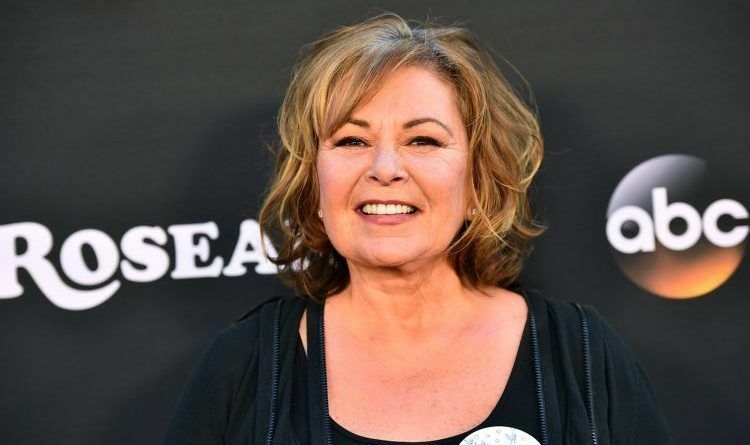 ABC’s yanking Roseanne from the airwaves show the network’s obvious double standard when it comes to condemning offensive speech. Joy Behar’s comments calling Christians mentally ill during a segment of The View earlier this year. And, unlike Roseanne’s tweets made from a personal Twitter account, Behar’s remarks were made on-air during an ABC show. Now, notice the reaction time of these two incidents. Barr posted her now-infamous tweets at 2:30 a.m. on Tuesday morning. By 10 a.m., she’d apologized. By noon, production consultant Wanda Sykes had dropped out of the show. An hour later, co-star Sara Gilbert publicly condemned Barr’s comments as not being reflective of the cast’s views. By 1:30 p.m., rumors were circulating that ABC had canceled Roseanne altogether. Flashback to Behar’s offensive description of Vice President Mike Pence and millions of faithful Christians as crazy nutjobs who talk to ghosts in the sky during a segment on her ABC-aired show on February 13. Three days later, following a public outcry, the shrews over at The View finally circled back to Behar’s comments, pooh-poohing whole thing as merely “controversial” and issuing perhaps the weakest non-apology in the history of mea culpas. It took three weeks for Iger to address the controversy, which he did in the most backhanded way possible. Reports emerged that Iger had informed shareholders that Behar had called Pence to apologize privately for her disparaging remarks. No real statement. No public apology. And definitely no firing of Behar. On March 13, a full month after first inserting her bigoted food into her mouth, Behar finally publicly apologized for her comments – but only after the Media Research Center had launched an all-out, weeks-long campaign against the network for its unrepentant and repeated attacks on Christians, resulting in tens of thousands of individuals blowing up ABC’s phone lines. Rosanne’s popularity scared the Schiff out of the left. She had to be stopped.